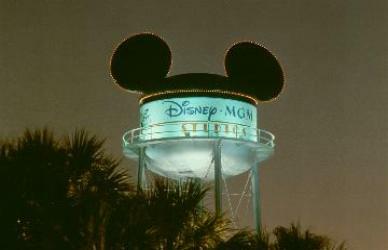 showbiz take center stage at the Disney-MGM Studios. But the star is you! create your own adventure for an experience that roars with excitement. Coming in 2006, above the mists of Asia, a colossal new adventure is rising. Expedition Everest – Legend of the Forbidden MountainTM. to the frozen peak over creaking trestles and along sheer ledges you can sense the beast nearby. Hear his howls in the wind. Watching. and explore Disney’s Animal Kingdom® Theme Park. Ariel, Sebastian and Flounder for Voyage of the Little Mermaid. you’ll never experience the same fear twice at the new Twilight Zone Tower of TerrorTM. Just drop in...if you dare...and see for yourself. outcome! With so much to see and do, you just may need an encore! Go ahead raise the curtain at Disney-MGM Studios. It’s where showbiz is! *No cash prizes. “The Twilight Zone®” is a registered trademark of CBS, Inc. And is used with permission pursuant to a license from CBS, Inc. © The Jim Henson Company © Disney/LucasFilm, Ltd.